In early October, the Intergovernmental Panel on Climate Change (IPCC) reported that global energy-related CO2 emissions have risen 21% in the past 12 years. The report, which referenced 6,000 works, concluded that nations must make substantial changes to limit their carbon emissions. 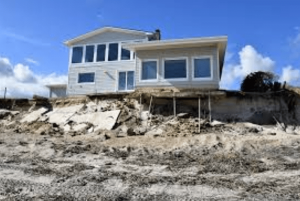 The nearly 100 scientists who authored the IPCC report noted that climate change has already caused devastating events. Hurricanes and typhoons occur more often and with faster intensification. Record droughts are seen wither crops from Cape Town to California. Forest fires sweep across the Arctic. The essential goals drafted in the Paris Climate Agreement now seem an extreme challenge to meet. Current promises within that agreement would lead to about 3 degrees Celsius (5.4 degrees Fahrenheit) of warming by the end of the century. Paris Climate Agreement Goals, written in 2015, were intended to keep global warming from rising more than 1.5C before 2030. Even half a degree greater within that time would magnify risks of drought, floods, and extreme heat. All coral reefs would be lost. In the Arctic, the permafrost in an area as large as Alaska would thaw, releasing methane that would further accelerate climate change. These catastrophic events would bring suffering to an additional 420 million people. The IPCC Report states the urgency of reducing carbon emissions over the next decade. Currently, over 40 billion tons of CO2 are emitted worldwide. Unprecedented action is required to halt further increase. Replacing gas and diesel-power cars, buses, and trucks with electric vehicles. Currently, only four percent of road vehicles are powered by renewable fuel. Implement Carbon Capture and Storage (CSS) equipment at coal and gas plants to prevent CO2 release. The trend toward improvement must begin soon. Global net emissions of carbon dioxide must fall 45 percent below 2010 levels. To achieve that, renewable use would have to increase from 24 percent today, to 50 or 60 percent in 2030. Consumers, as well as business, will implement new technologies and conserve resources, business and industry must lead in developing and implementing clean technologies. Studies by the CBRE Group, Inc. and Maastricht University have found substantial progress in the commercial real estate market. 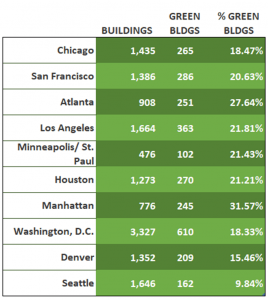 Their Green Building Adoption Index tracked green building certifications in the 30 largest U.S. office markets. Research there showed favorable loan pricing for ENERGY STAR and LEED- certificated properties. Researchers found that capital markets are increasingly incorporating green building certifications into loan pricing and alternative financial instruments such as green bonds. Other research concluded that those buildings transacted for about 10.1% more than similar uncertified buildings. To navigate the maze of concerns and possible solutions, ecoPreserve offers a 2030 Response Roadmap. It’s a proactive response, enabling benefits to be claimed more quickly. That also controls costs. The Response Roadmap looks 360-degrees to encompass facility commissioning, energy conservation, Solid Waste Management (SWM), and workplace optimization. Our experienced team provides professional services to meet your organization’s needs and choices. To learn more about the 2030 Response Roadmap, here’s how to contact ecoPreserve! Next story Why develop just one smart city?